Bulandshahr violence: Yogesh Raj is accused of inciting mob violence on December 3 after the discovery of cow carcasses from a forest. Bulandshahr violence: Yogesh Raj had eluded the police for 30 days and even sent videos from hiding. The man accused of inciting mob violence in Bulandshahr in which a police officer was attacked with an axe and shot dead has been arrested nearly a month after the incident. Yogesh Raj, a Bajrang Dal activist dubbed "Accused no 1" in the killing of the officer in mob frenzy over alleged cow slaughter, was caught last night. Yogesh Raj had eluded the police for 30 days and even sent videos from hiding. Reports suggest he was arrested only after the Bajrang Dal, a Hindu rightwing outfit, turned him in. The police claimed in a press release that an informer alerted them to Yogesh Raj's plan to go to Khurja, about 20 km from Bulandshahr, last night. The police say they laid a trap and caught him near a popular college. On December 3, Yogesh Raj had filed a police complaint of cow slaughter after five carcasses were found scattered in a forest. He had named seven accused and led a protest. An argument between the protesters and the police escalated and violence erupted. 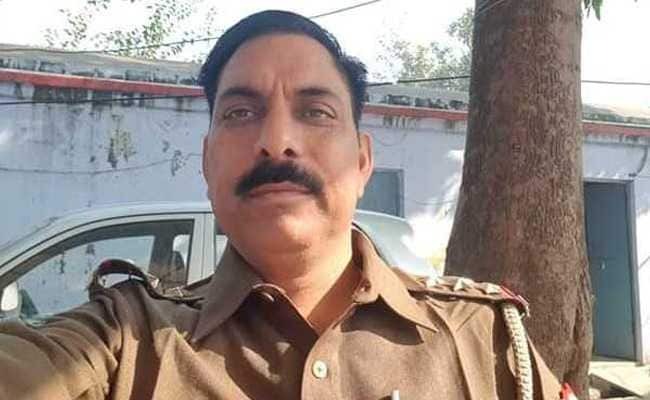 Officer Subodh Kumar Singh was chased, cornered in a field and shot dead by the mob of 400 which allegedly included activists of the Bajrang Dal, the Vishwa Hindu Parishad and a youth wing member of the ruling BJP. The UP administration has been accused of inaction in the killing of the policeman but displaying more alacrity in rounding up suspects for cow slaughter. Chief Minister Yogi Adityanath, in a security meeting right after the incident, had ordered strict action for cow slaughter but had apparently not discussed the policeman's killing. Five Muslim men arrested on the basis of Yogesh Raj's complaint were held for two weeks and eventually let off for lack of evidence. After criticism, the police have arrested 30 for the policeman's murder. A man arrested on January 1, Kalua, is accused of attacking the inspector with an axe, chopping off a couple of his fingers and then inflicting a head wound. Prashant Nutt, the man who allegedly shot the officer, was arrested on December 28. He, Kalua and a third man, Johnny, who had snatched the officer's revolver were identified from a cellphone video. An army man, Jitendra Malik, another key accused in the killing, was arrested on December 9 and is currently in judicial custody.